Earlier today, Chris Algieri completed his final Los Angeles before he heads to Macau, China to face Manny Pacquiao on November 22. 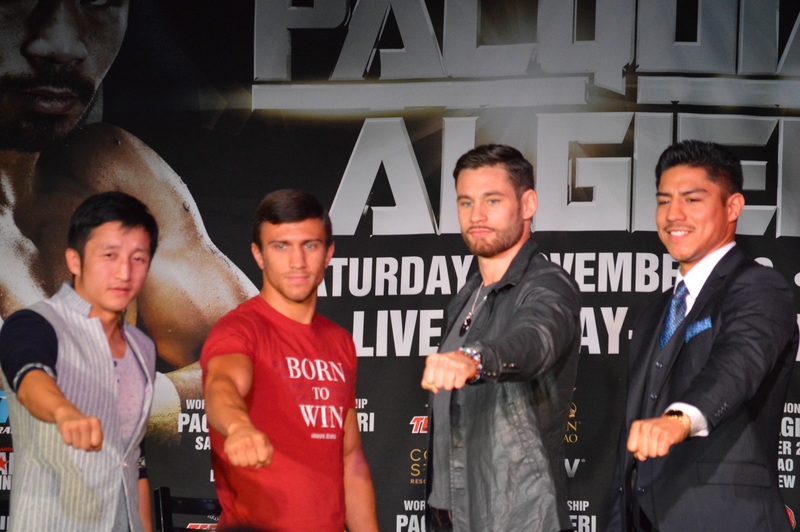 Earlier today, Chris Algieri completed his final Los Angeles appearance before he heads to Macau, China to face Manny Pacquiao on November 22. The undercard for the pay-per-view card includes WBO featherweight titlist Vasyl Lomachenko, Zou Shiming and Jessie Vergas (with new trainer Roy Jones Jr.). 24/7 Pacquiao/Algieri, premieres Saturday November 8 at 1:00 a.m.(ET/PT) on HBO immediately following Bernard HOpkins vs. Sergey Kovalev. An all-new special, “Under the Lights: Pacquiao-Algieri,” debuts November 15 at 11:45 p.m. (ET/PT) on HBO.